The Tales of VS. Official Site has been updated today with a single new system video. The video talks about three new features which are there for collecting purposes: the Event Library, the Tales Picture Book (zukan) and the Item (or Card) Library. All the skits viewed in Yggdrasill Story Mode can be viewed here once again. Try and aim to complete 100%! 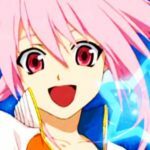 You can view the Tales characters' profiles in this section. 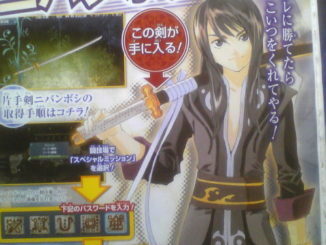 The profiles will talk about the characters' history and personality from their own respective games (i.e. Lloyd's story in Tales of Symphonia). Characters who haven't been unlocked in Yggdrasill Mode will not have their profiles appear until they have been unlocked. First off, this isn't a record of all the items you've used in the game. This so-called "Item Library" is actually a gallery of "character cards" which you will be able to collect throughout the Yggdrasill Story Mode. 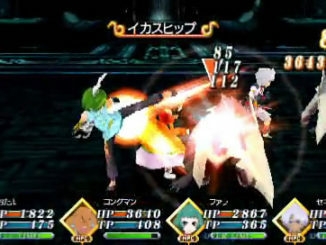 The character cards, as the name implies, are cards with images of the Tales characters on them. 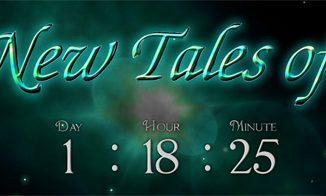 It is to be noted that the design of the cards is identical to the design used in the Tales of Series' official trading card game, Tales of My Shuffle. In this section, you will be able to view all the cards you have collected so far. Apparently, something will happen if you collect three cards of the same character. Basing it on the design of the Tales of My Shuffle Cards, all three cards for the same character will most likely have different images on them. And I'd like to announce in advance that I will be away from the PC starting Friday this week until... hrm, probably Friday next week. It's preliminary examination week, and I need to study, study, study! Wooohooo 80-100 pages of lecture notes per subject. Oh joy. LaZyEnErGeTiC and, if he's around, SyphonVectorman will be taking over for me.